Genesis makes use of hooks and filters for performing various functions on your WordPress site. So, it is not always easy for everyone to play around with it. Genesis may be simple and fast, but not every one of us can understand the code that lies beneath it. That’s where most of us will be needing some help in the form of plugins designed especially for the Genesis Framework. The Genesis Framework plugins I’ll be covering in this post will help you with performing some basic operations on your Genesis powered WordPress site. Now, here’s a list of the best Genesis Framework plugins that will come in handy no matter what your level of knowledge is with the Genesis Framework or WordPress. Genesis Simple Share allows you to easily add beautiful share buttons to your site using a Genesis child theme. This plugin lets you add custom headers to each page, post and custom post type. Available header options include featured image, custom image, slide shows, HTML, scripts, and more. Blox Lite allows you to easily customize your Genesis powered website through the use of content blocks. Though it is not a tool for changing the colors of your theme, it can wrangle styles, think more along the lines of banner images, dynamic content areas and custom footers (structural customization). This plugin is an advanced version of the Genesis – Featured Page widget which allows you to add a custom image, custom content, page excerpt, and more. This plugin allows you to assign WordPress navigation menus to the secondary navigation menu within the Genesis Theme Framework on a per post, per page, or per tag/category archive basis. The per post, page, category or tag setting overrides whatever menu setting you already have in your Genesis Theme setting. It does require that you have your Secondary Navigation enabled in your Genesis Theme Settings. This plugin will help you to create a highly customizable mobile menu for your Genesis site. Using this plugin you can easily convert your WordPress menu to a great, elegant looking sliding menu for all mobile devices. This plugin creates a new Genesis settings page that allows you to modify the post-info (byline), post-meta, and footer area on any Genesis theme. Using text, shortcodes, and HTML in the text boxes provided in the admin screen, these three commonly modified areas are easily editable, without having to learn PHP or write functions, filters, or mess with hooks. This plugin allows you to create a simple responsive slider that displays the featured image, along with the title and excerpt from each post and also includes options for the maximum dimensions of your slideshow. We can also choose to either display posts or pages, category from which to pull from, and even the specific post IDs of the posts you want to display. Moreover, it includes next/previous arrows and a pager along with the option to turn both on or off. The slideshow is also fully responsive and will automatically adjust according to the screen it is being displayed on. This plugin gives you the flexibility to modify the default layouts for your homepage, archives, attachments, search pages, and 404 error page. This plugin adds a theme options page to Genesis to allow the administrator to upload a custom favicon for Genesis sites without any manual work (FTP). Once activated, this plugin will add a drop-down menu to the admin bar to select between three views (Hook, Filter, and Markup). You can select an option or all three to see the hooks in their actual locations on your current theme. Works great along with Genesis Simple Hooks. This plugin easily integrates Genesis column classes into your WordPress editor. With just a click of a button, you can now add column class shortcode to your pages or posts. With this plugin, you will no longer have the need to know any HTML or CSS to harness the power of the built-in Genesis column classes. This plugin translates the Genesis framework into one of the available languages. No need to fuss about with your functions.php file or uploading .mo and .po files. Just install this plugin et voila! This plugin allows you to seamlessly integrate WooCommerce with the Genesis framework and Genesis child themes by replacing WooCommerce’s built-in shop templates with its own Genesis-ready versions, specifically the single-product.php, archive-product.php and taxonomy.php templates needed to display the single product page, the main shop page, and product category and product tag archive pages. Since customizing the contents of the ‘page not found’ error pages in any WordPress theme can be tricky as it usually involves editing the 404.php template file, the Genesis framework already abstracts the default content of the page into a function, and this plugin can unhook that and replace it with your own custom title and content. This small and lightweight plugin adds a printer-ready stylesheet file (print.css / print-html5.css) for the Genesis Framework and its currently active child theme. Any unneeded site elements will be removed, such as main and sub-navigation bar, sidebar, footer widgets, form input fields to name a few. Instead of the sometimes tedious and unfamiliar process of creating functions in your Genesis child theme files, this plugin gives you an attractive & easy to use interface for modifying your Genesis theme via the hook system. 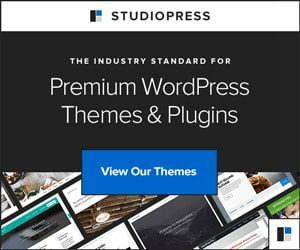 The plugin accepts HTML, shortcode, and PHP and gives you access to all 50+ hooks built into the Genesis theme, and a few built-in WordPress hooks as well. This plugin allows you to create a new widget to easily add mailing lists integration to any Genesis powered website. It fully supports FeedBurner, MailChimp, AWeber, FeedBlitz and many other service providers. This plugin will add a new “Portfolio” post type where you can add portfolio entries with images and galleries to show off your visual content. The default template and styles will create a portfolio grid showing your featured images in a landscape format. These will link to a simple page where you can control the content including text, images, and even galleries. This plugin adds options to customize colors, create a fixed header that shrinks on the scroll, upload logos, edit footer credits, and much more, all through the native WordPress Customizer interface. It is the easiest way to customize the design of the Genesis theme or your custom Genesis child theme. Using Genesis Dambuster, you can easily set up your pages for edge to edge content and is ideal for full-width Beaver Builder templates. This plugin allows you to display any kind of ads on your Genesis site without touching any code in your theme files. This plugin requires you to have Advanced Ads plugin installed for it to work. it allows you to inject ads like AdSense, Amazon native advertising, banner ads, etc. into the predefined positions. Thus I hope that you found this list of best Genesis Framework plugins helpful in customizing your Genesis powered WordPress website. If you feel that I have missed out any other useful Genesis Framework plugin which deserves a mention in this list, please let me know in the comments section below and I’ll add it to the list. Suggested Read: How to add Facebook reactions to posts in WordPress. Great list. Didn’t know about all of them. Liked the idea about Printstyle Plus but it unfortunately hasn’t been updated in three years. Not sure I would use it because of that fact alone. Hey Chuck, glad that you found the list worth checking out. Though I usually don’t recommend people to use plugins that haven’t been updated in years, this one’s quite different. It doesn’t add any functions to your site rather it adds a few lines of code to your site’s stylesheets. This shouldn’t (I hope) break your site in any way. Maybe you can install and test it out on a dummy site and then install it to your production site.